Happy Monday, friends! 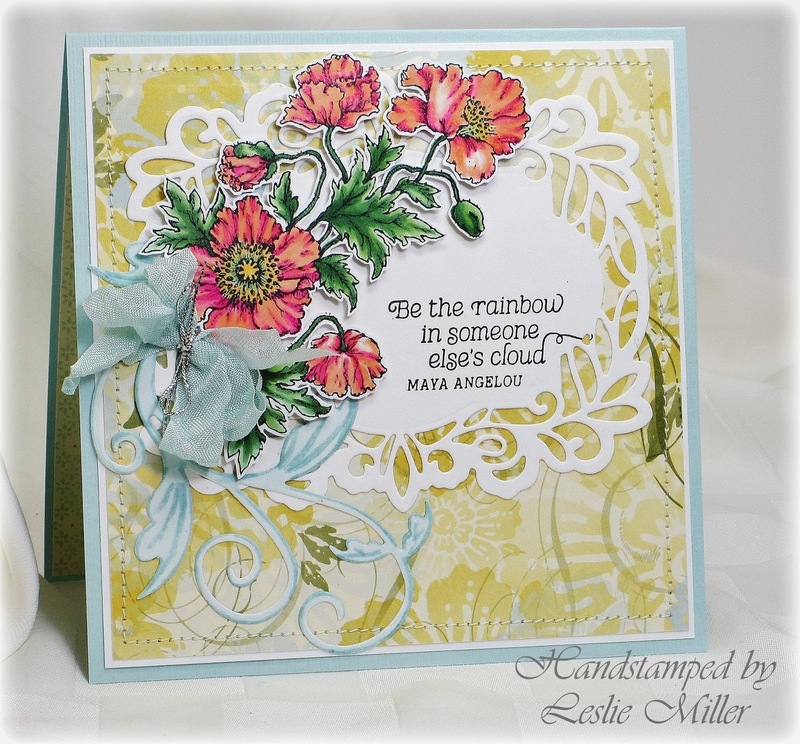 Today I’d like to share two of my favorite things – gorgeous flowers and fabulous die cuts. The flowers are my brand new Poppies from Power Poppy. 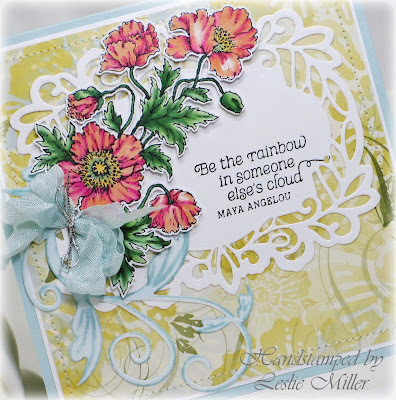 The die cuts are Sue Wilson Greek Island Collection – San Torini and Cheery Lynn Tropical Flourish (check out Fanciful Flourish for a substitute). I’m really loving the whole line of Sue Wilson dies in this size. The die I used for my 5 1/4” square card is the largest in this particular collection. 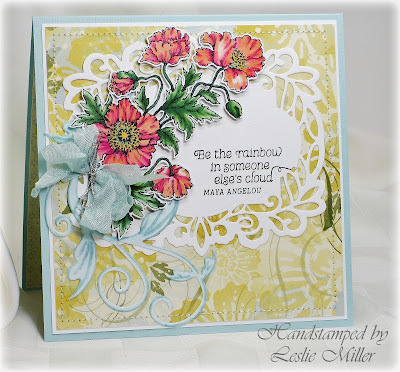 There are several dies in each collection, and they layer beautifully or can be used individually, as I did here. I had intended to use a lightly patterned blue from this very old designer paper collection, but when I pulled it out and saw this piece I couldn’t turn my back on how nicely it coordinated with the combo of flowers and die cuts -- at least to my eye, anyway. Isn’t it fun to just dive into your stuff and see what comes out? I do so enjoy the creative process. I colored the vining flourish die cut with BG70 and BG72 Copic markers to match the other blues and help it stand out from the paper and the die cut mat. Just because they’re leaves doesn’t mean they have to be green, right? Just a quick reminder – As if their outstanding collection of dies isn’t enough, Dies R Us has remarkably low shipping rates for both domestic (US) and international orders. It really makes a difference! Thanks for your time today! Roses and Butterflies and Dies -- Oh, My! Fluttering by with birthday wishes!